Power lines in Espoo, late summer, originally uploaded by Brin d’Acier. I tried to treat the tower as a part of the landscape, as I would a big tree. 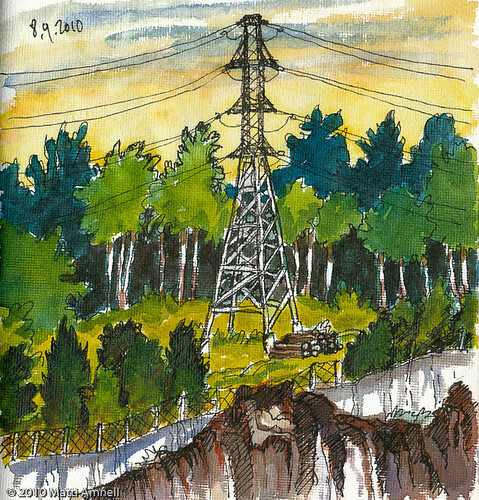 This entry was posted in Sketch of the day, Sketchbook and tagged espoo, finland, helsinki, landscape, watercolour. Bookmark the permalink.